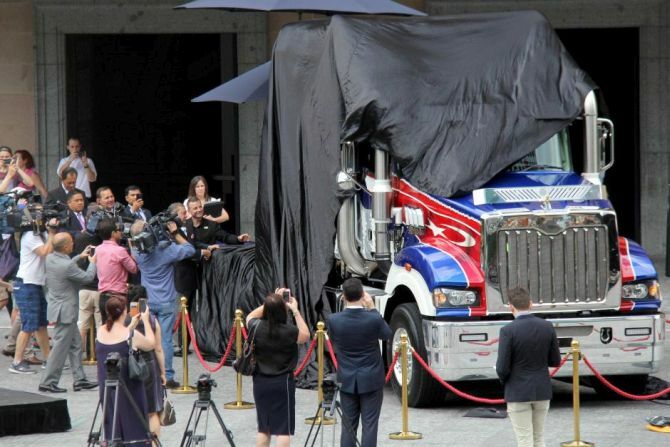 The story of the project started about a year ago when the Sultan of Johor commissioned Mack Trucks Australia to build a new luxurious truck that can be used to move his private powerboat around the country. 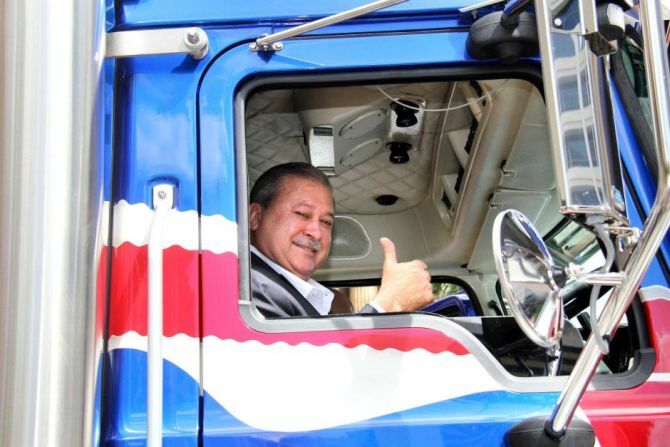 Painted in the red, white and blue colors of Johor, the super-liner delivers 685hp and has a top speed of 100km/h. 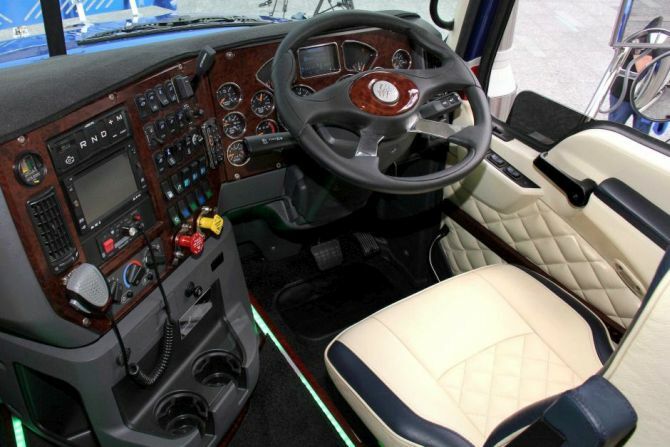 The truck comes with incredible features which certainly makes it the world’s most luxurious truck as well. 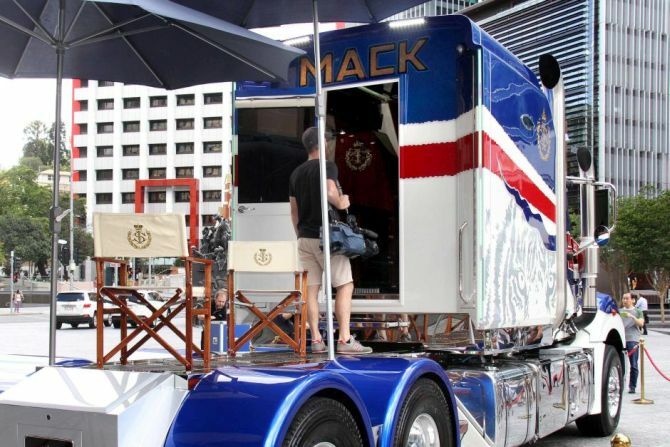 Mack’s truck for Sultan of Johor comes with a large specially-built sleeper unit fully upholstered with imported South African leather. 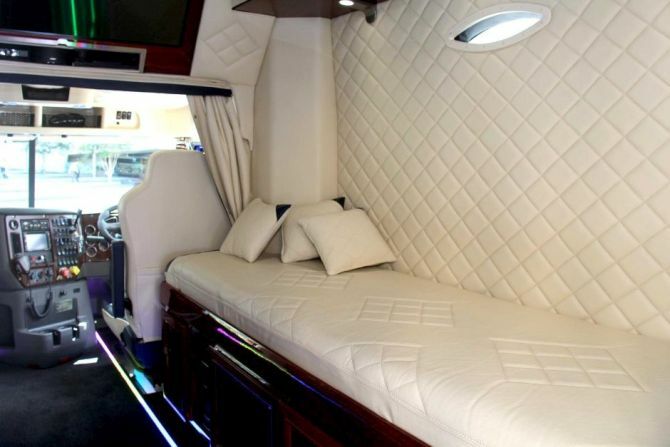 The front seats feature royal emblems that are embroidered with 72,000 stitches of gold thread. There is a six-camera CCTV system which is connected to two flatscreen TVs inside the vehicle. Solid Jarrah timber flooring adorns the interior of the vehicle. The rear leisure deck features sun shades, deck chairs and pull-out barbecue and the stone-topped kitchen area comes with a fridge, microwave and grill. To offer a smooth ride, the vehicle has extra-wide Michelin X1 tires and for entertainment it boasts a Bose surround sound system along with X-Box and PlayStation consoles. 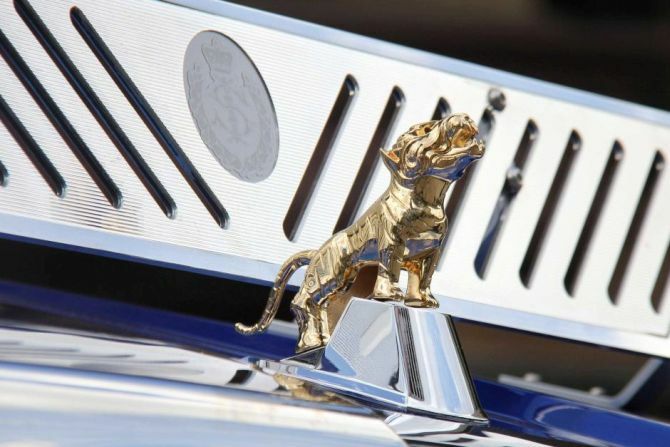 Other cool features include external LED lighting, fully-ducted air-conditioning system and a gold tiger hood ornament commissioned from Wallace Bishop. 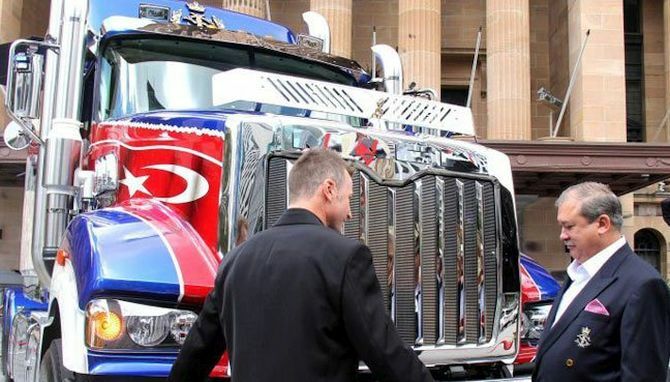 Although the price tag of heavy duty rig is kept a secret, it is obvious that it has broken the previous record of $481,000 for a customized truck. The world’s most expensive Mack truck will add to the private vehicle collection of the Sultan which includes 10 Cadillac’s and eight Rolls-Royces along with few Aston Martins, Ferraris and Bentleys.